Neurofibromatosis Type II, AKA NF2 is inherited as an autosomal dominant condition, although half of affected individuals have NF2 as a result of a new (de novo) gene mutation. The manifestations of NF2 result from mutations in (or, occasionally, deletion of) the NF2 gene, located on the long arm of chromosome 22. Affected individuals need only 1 mutated or deleted NF2 gene to exhibit signs of the condition. NF2 is an autosomal dominant genetic disorder caused by mutations on chromosome 22. Patients usually have multiple Central Nervous System tumours; most typically a patient will be found to have bilateral Acoustic Neuromas (AKA Vestibular Schwannomas). NF2 is caused by mutations of the "Merlin" gene which influences the form and movement of cells, and acts as a tumour suppressor; so reduced action of this protein, or decreased production of it causes tumours in both the central and peripheral nervous systems to develop. Histological findings in NF2 tumours show distinct characteristics which differ from non-NF2 Acoustic Neuromas. Depending on the severity of the underlying mutation, multiple other CNS tumours can also be found, especially meningiomas, schwannomas, and gliomas, some of them involving cranial nerves. NF2 is associated with significant morbidity and decreased life span. Furthermore, diagnosis in childhood is often difficult because of the absence of central nervous system (CNS) involvement at a young age. Although the genetic change causing NF2 is present at conception, the clinical manifestations occur over many years. The typical age of onset of symptoms is in the late teens to early 20s, but the age range covers the entire life span. Spinal cord schwannomas are quite common in NF2 and result in significant morbidity. Intracranial meningiomas are common. Spinal cord ependymomas, astrocytomas, and meningiomas also occur, but less frequently. Nonvestibular schwannomas occur in more than half of patients, and are often diagnosed in patients with an earlier age at diagnosis of NF2. Cranial nerves 3 and 5 are most commonly involved. First-degree relative with documented NF2 for an individual with at least 2 of the following findings: meningioma, schwannoma, glioma, juvenile cataract. 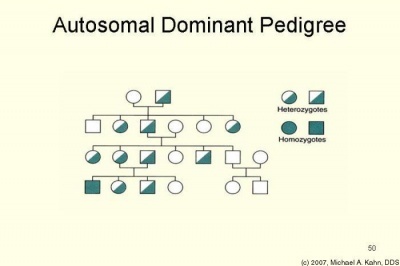 However, because approximately half of cases result from new mutations, family history is often negative. Medical care for patients with NF2 consists of routine examinations focusing on early detection of some of the potential complications related to CNS or spinal cord lesions. Surgical resection is most common, especially for acoustic neuromas. Occasionally, radiation and/or chemotherapy may be recommended. Neurofibromatosis Type 1 (NF1) differs from NF2 in that NF1 patients have large numbers of skin lesions, whereas NF2 patients generally have fewer skin lesions. Customized vestibular rehabilitation incorporating adaptation, habituation, balance and mobility has been demonstrated to improve balance in patients with Acoustic Neuroma. If the Facial Nerve is affected, causing facial palsy, then physiotherapy is indicated, as set out on the Facial Palsy page. ↑ Aboukais R, Baroncini M, Zairi F, Bonne NX, Schapira S, Vincent C, et al. Prognostic value and management of spinal tumors in neurofibromatosis type 2 patients. Acta Neurochir (Wien). May 2013;155(5):771-7.